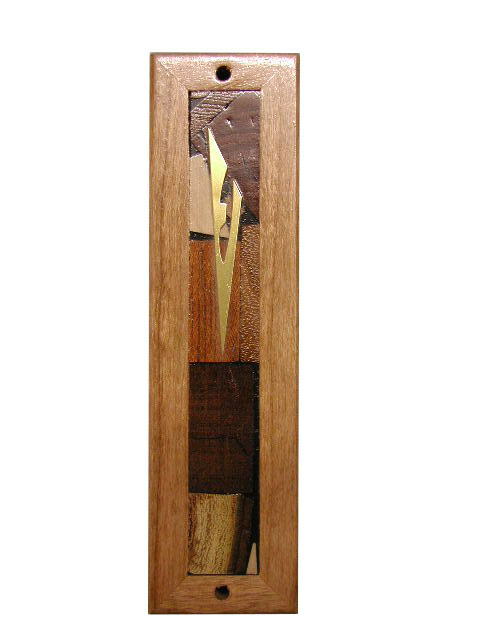 The Mezuzah Framed is a small, and elegant wooden mezuzah. 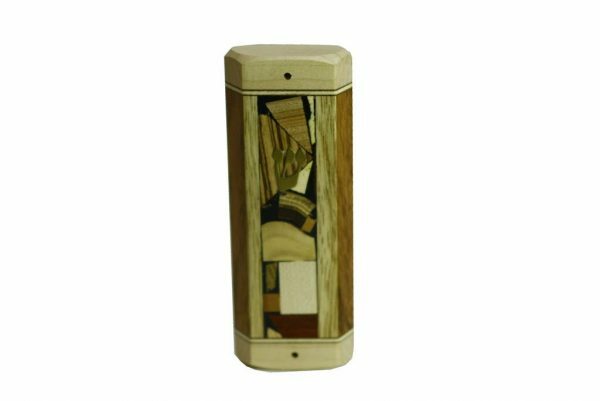 It features a multi-wood mosaic panel wrapped in a solid wood frame. There are no stains or dyes used on this mezuzah. 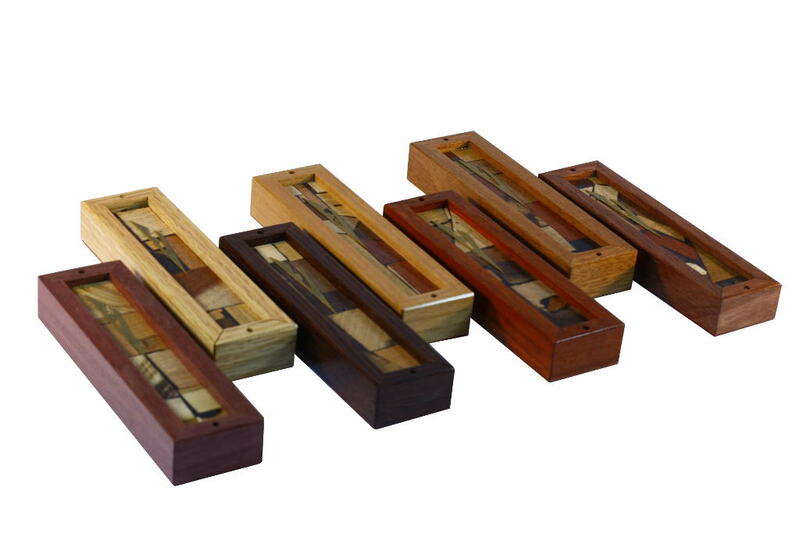 All the woods are in their original colors! It is decorated with a stylized “shin” made of brass. 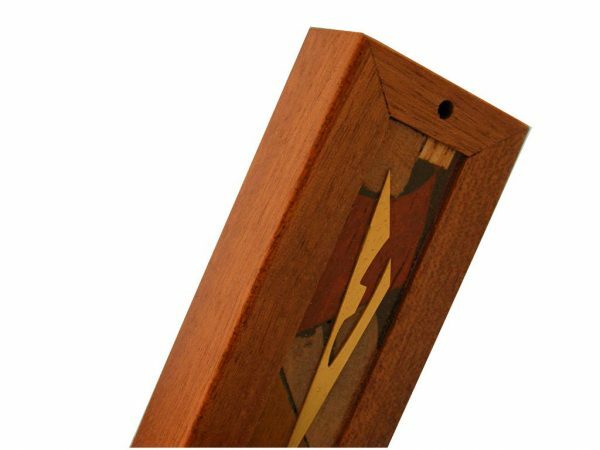 The mezuzah framed is a meaningful housewarming gift, and a great bar/bat mitzvah present as well. Choose your solid wood frame color (light, medium, and dark). 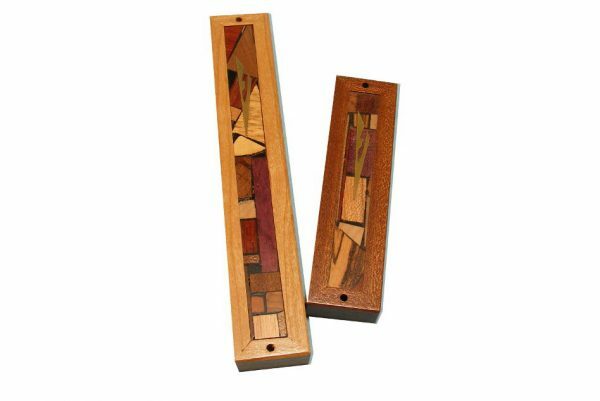 Add $53 to purchase the mezuzah with a hand written kosher scroll parchment (klaf).